Here is an audio drama that, for me, appeared slightly out of left field. With the recent releases of Scars, Legion, Hunter's Moon, etc...etc I expected that Black Library would be more on a Horus Heresy binge. 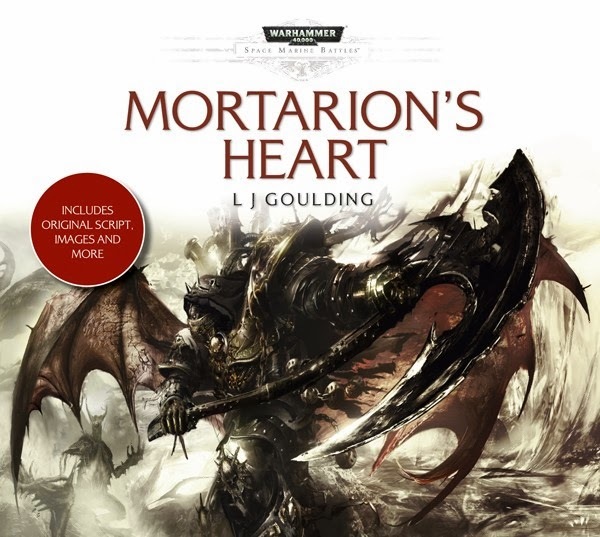 Especially since, considering, Mortarion's Heart is not connected to any other major recent release. However, this isn't to say that revisiting and giving some fresh look to the 40k universe is a bad thing (because it isn't). I've always been a huge fan of the Death Guard and of Mortarion. He's a cool figure that I've enjoyed seeing in the Horus Heresy book series and continue to enjoy seeing (especially now that Nurgle is beginning to influence the Legion, thank you Scars. And then we have the boys in the silver power armor who arrive onto the scene with about all the usual pomp and circumstance of rabid fanatics coming to purge. The Grey Knights haven't exactly got a lot of rep on the Black Library scene. Aaron-Dembski Bowden gave us The Emperor's Gift a couple of years ago, which in my opinion is a step above the Grey Knight Ombibus in terms of quality. But then again, the two are separated by the old fluff and the new fluff for the Grey Knights, which does make a huge difference. So, given the dramas title, the story is about the ascension of Supreme Grand Master Kaldor Draigo after the previous Supreme Grand Master is rather. er,. well...killed horribly...and Draigo's act of carving the former Supreme Grand Master's name into Mortarion's heart, which, given to some plot items, is a permanent fixture that Mortarion is ALWAYS going to have. The story begins in medias res as Draigo is fighting, alone, on the gore soaked plains of Kornovin, the latest world to fall victim to Mortarion and the hordes of Father Nurgle. Draigo is out to track down and face Mortarion in single combat for a purpose not yet revealed. To this end, he has come armed with...names. You see, names are important in Mortarion's Heart and Mortarion himself, as a daemon, is vulnerable to the use of names as weapons and the entire plot revolves around the use of Mortarion's name. But wait Trooper! Everyone knows Mortarion's name! Well, here is the second important thing to know about Mortarion's Heart...secrets are also important. 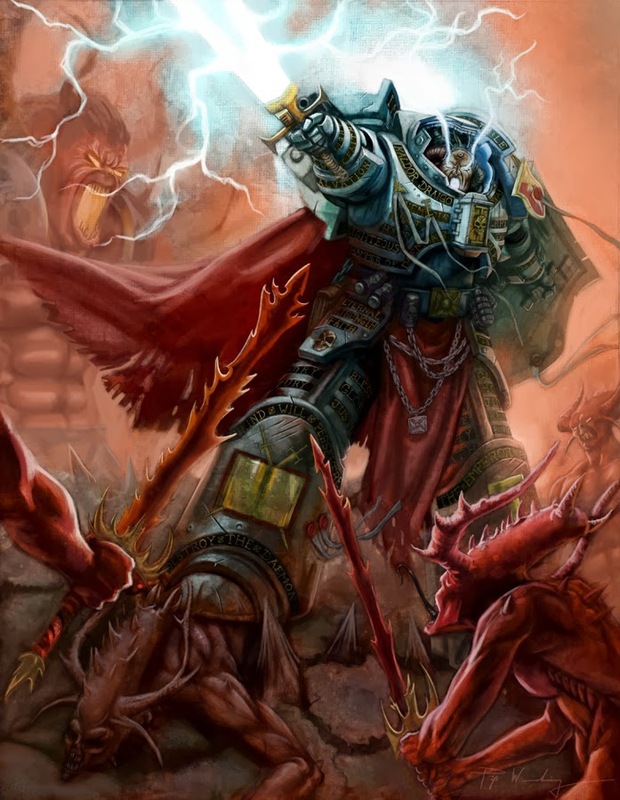 The Ordo Malleus, for who the Grey Knights owe their main allegiance to, are by far the most secretive and knowledgeable of all the Ordos and this luxury extend to the Grey Knights. Yet, despite knowing Mortarion's true name...they don't even know anything about their own past or history. As the drama unfolds and heads towards it's conclusion, Mortarion and Draigo have a discussion as Draigo tries to bind Mortarion. Mortarion taunts Draigo with hidden knowledge and destructive truths and Draigo nearly succumbs upon learning that Janus, the legendary first Supreme Grand Master, wasn't who legends claim him to be. And really, why would Draigo NOT freak out upon learning the identity of Janus? Black Library hasn't given us a definitive answer, but the most likely candidate for Janus is the Death Guard's own Nathaniel Garro. Given his prominence as Malcador's Knight Errant, this is a logical conclusion. Made even more convenient is the fact that Mortarion knew Garro...and that Nurgle has claimed all the Death Guard as his own. But I digress. The Grey Knights show themselves to be more varied than other chapters, having unique fighting styles and personalities ranging from the sorrowful Grand Master Mordrak to the bombastic Grandmaster Fenrick. And their abilities. Hell, they FEEL like the elites of the elites. Everything radiates skill, honor, and absolutely impressive psychic power. The drama really feels like a Grey Knight experience and I'm happy that Black Library is showing them some love. My one major complaint is that the drama includes a rather pompous Inquisitor Norstrandt, whos only purpose is to essentially be an annoying, awful character who does nothing but complain. He seeks Draigo out twice, showing nothing but contempt. He doesn't even bother coming down to the planet's surface to help in the defense, using a servitor to convey his generally bitchyness. He serves no purpose...but the servitors death at Draigo's bolter is satisfying enough. I'm sorry, readers, for that brief lapse in Gary Stu judgement. ANYWAY! Go check it out! Black Library offered a bunch of cool stuff along with the MP3 and it is a fun prize to have alongside your listen. And with that this is Trooper, signing off.